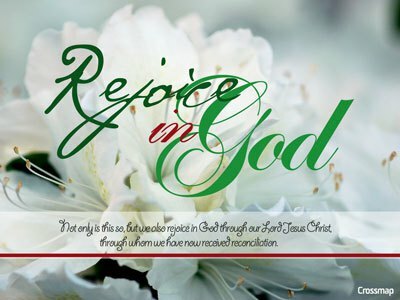 Rejoice in Me, says the LORD. For if you do not have joy in Me, then where will your strength be? For I AM the strength of your heart and life. You are to have a heart of joy and a life filled with My joy, for there is UNSPEAKABLE JOY in My presence. This also means there is unspeakable strength in Me and My presence as well, says the LORD. Have a thankful, grateful heart, says the LORD. You have been blessed with eternal life, and I Am with you always. You have My matchless name to use against the works of darkness. I have equipped you and furnished you unto every good work, and you have My help. Look at what I have given you and what awaits you rather than murmur and complain about your temporal disappointments. For My joy is your strength, and you will be strong in Me and the power of My might as you rejoice in, always, says the LORD. Amen!Praise The Lord!Thank You Father fir Your amazing grace!